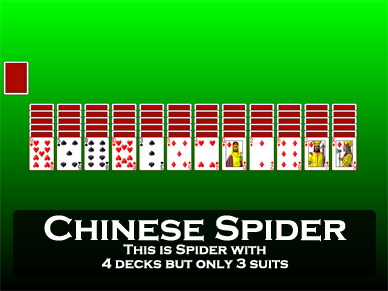 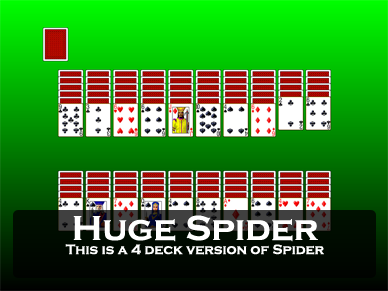 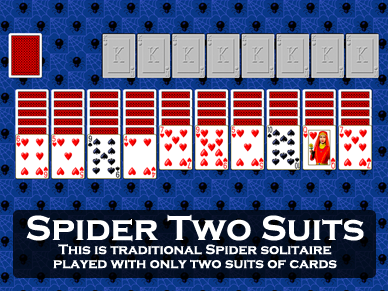 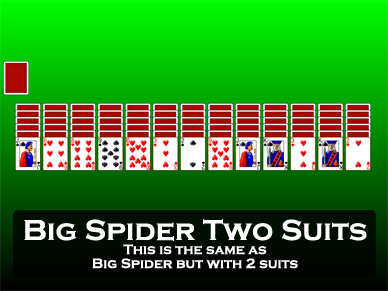 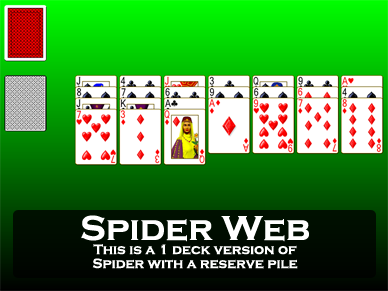 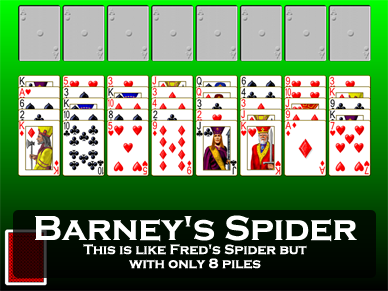 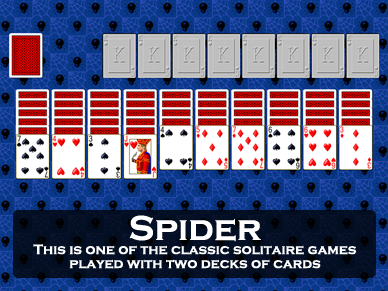 Spider is a difficult but addicting solitaire game where patience and dedication are rewarded. 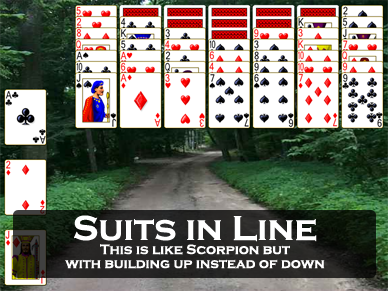 You can build cards down regardless of suit, but only move groups of cards down in suit. 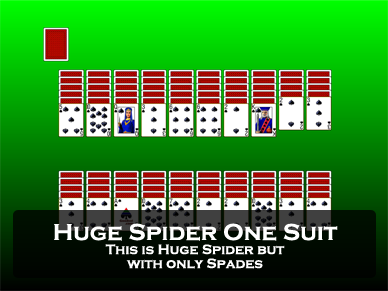 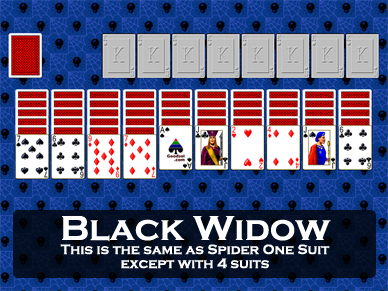 The objective in Spider is to build sequences from Kings down to Aces in suit. 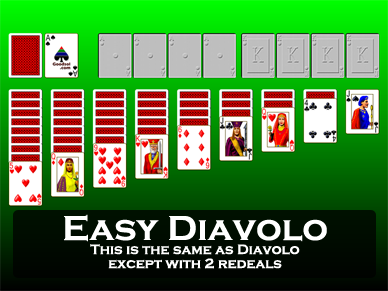 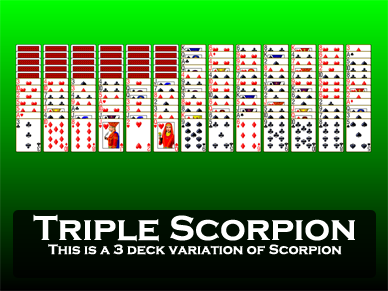 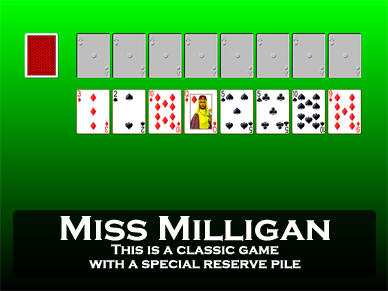 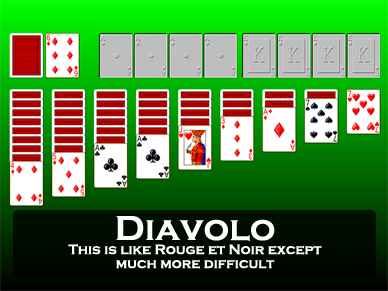 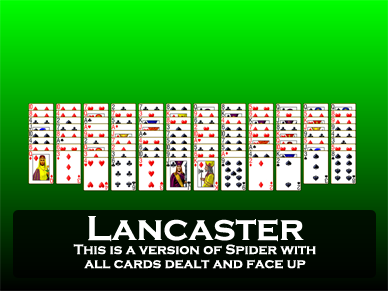 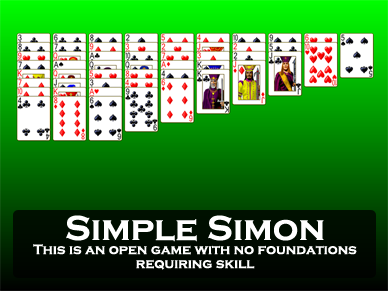 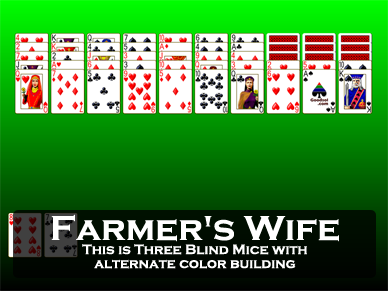 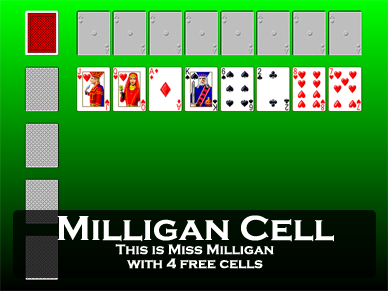 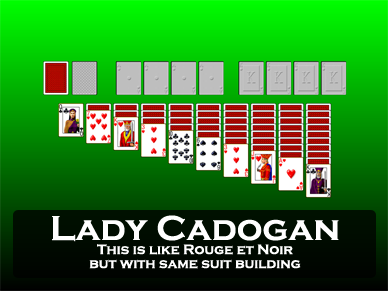 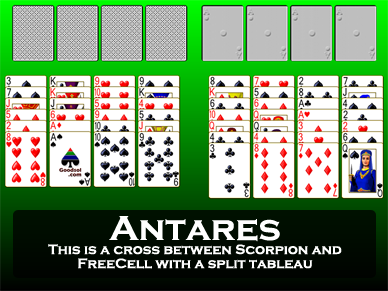 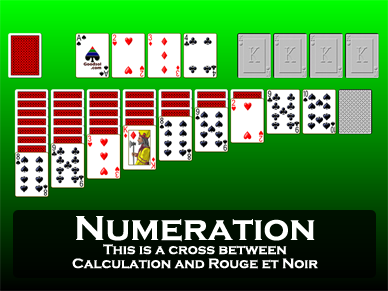 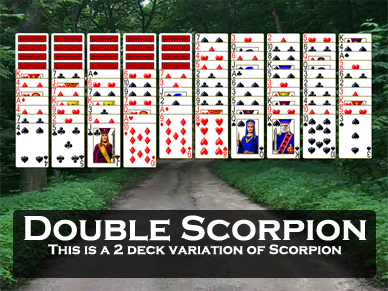 When such a sequence is formed, the cards are removed from play. 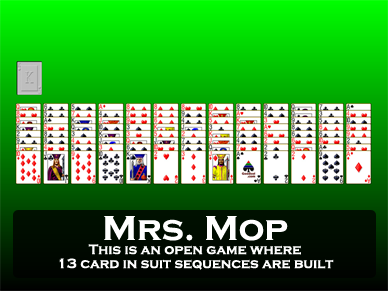 The game is won if you can remove all of the cards in this way. 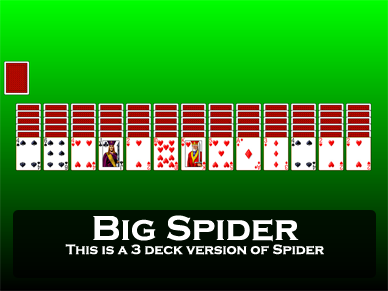 It is not easy, but with use of undo and patience, most games of Spider can be won. 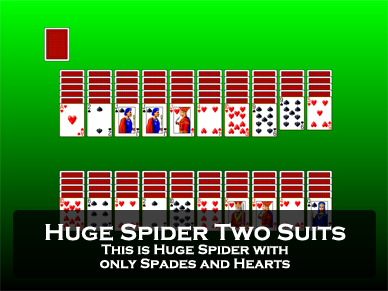 Spider also has many games similar to it. 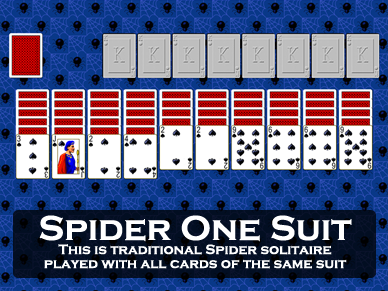 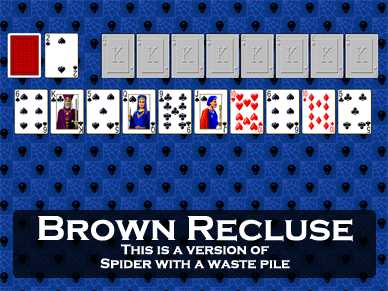 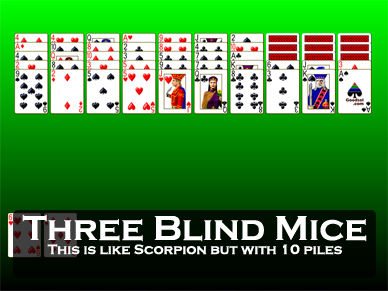 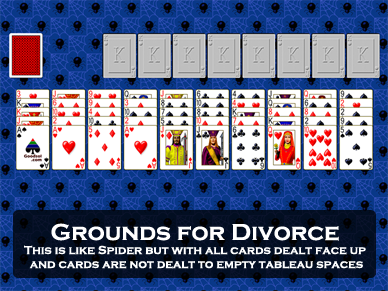 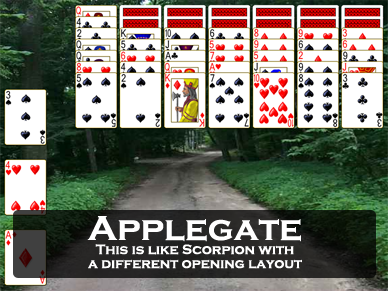 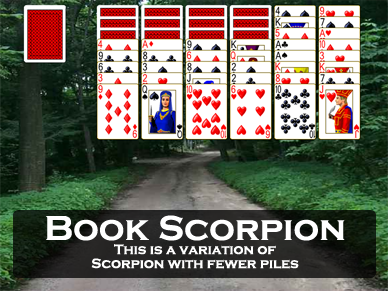 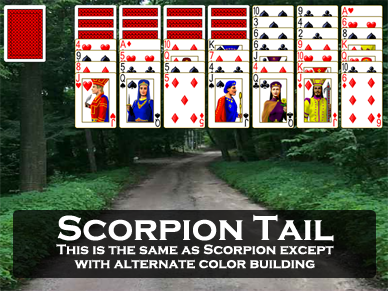 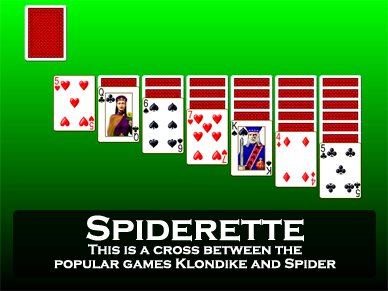 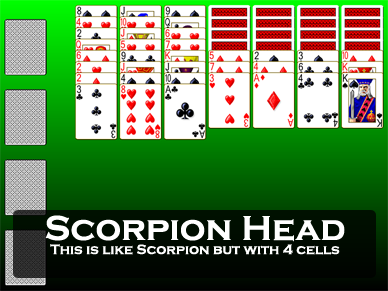 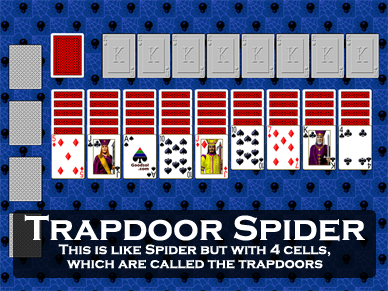 Each Spider type game in Pretty Good Solitaire is classified into a subgroup here. 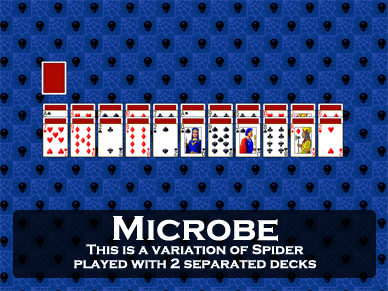 Some games may belong to more than one subgroup. 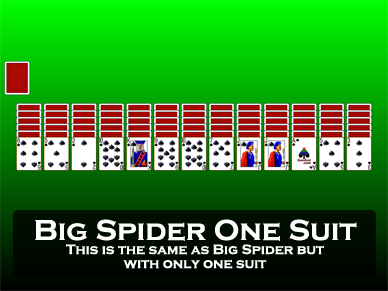 These games are the same as the regular 4 suit Spider game except have different number of suits. 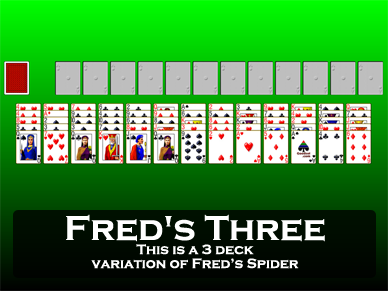 These games use 3 decks of cards rather than the usual 2 decks. 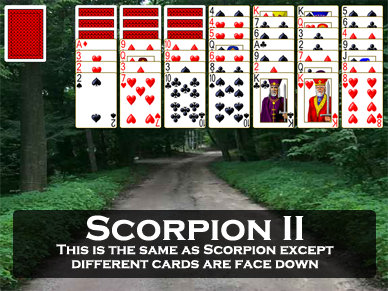 These games use 4 decks of cards rather than the usual 2 decks. 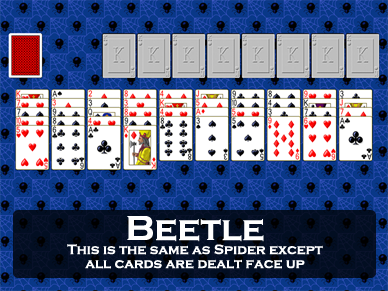 These games use 1 deck of cards rather than the usual 2 decks, and have other differences. 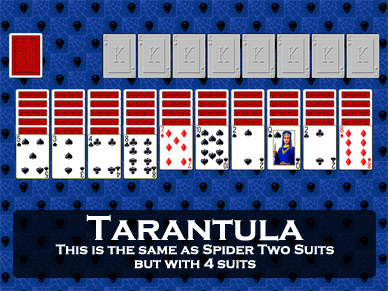 These games are Spider type games with all cards dealt face up to the tableau. 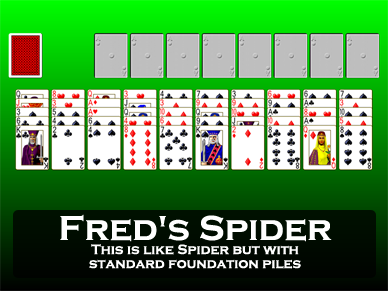 These games have foundation piles, unlike Spider and most Spider type games. 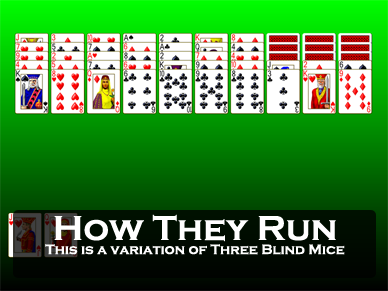 This makes them similar to Klondike and Forty Thieves type games. 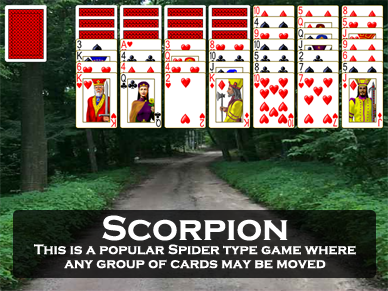 These games are like Scorpion, a popular Spider type game. 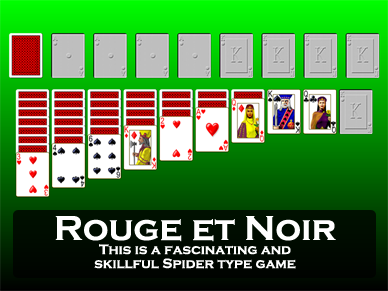 These games are like Rouge et Noir, a game with foundation piles where some of the foundations are built in the tableau. 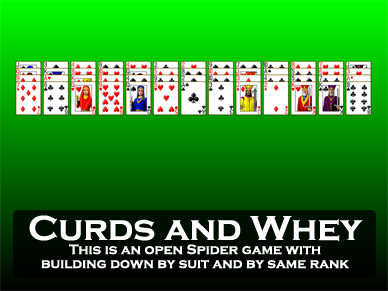 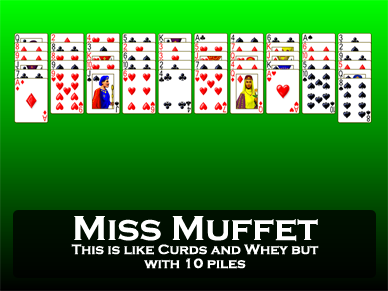 These games are like Curds and Whey, which involves building by rank and well as the usual methods. 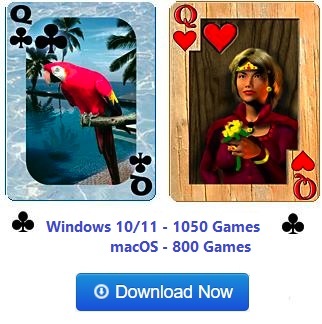 These games don't fit into any other category.